We've all been there before. You're at a fancy party, and one of the CEOs from Big Business Corp spots you from across the room. You nervously watch him walk towards you with a big grin on his face as he goes in for a handshake. "I'm Tex McRichpants," he says with aplomb. You can feel the sweat begin to bead on your forehead. You've been waiting for a moment to break into the business world all your life, and now you can barely muster the strength to shake his hand. You've forgotten how to schmooze. You can't breathe. And you can't remember what "aplomb" means. Moments later, after fainting on the floor, you realize that Tex McRichpants is gone. Just like your dreams of making it into the world of business. THERE'S GOT TO BE A BETTER WAY! Now, thanks to HalloweenCostumes.com, there is. 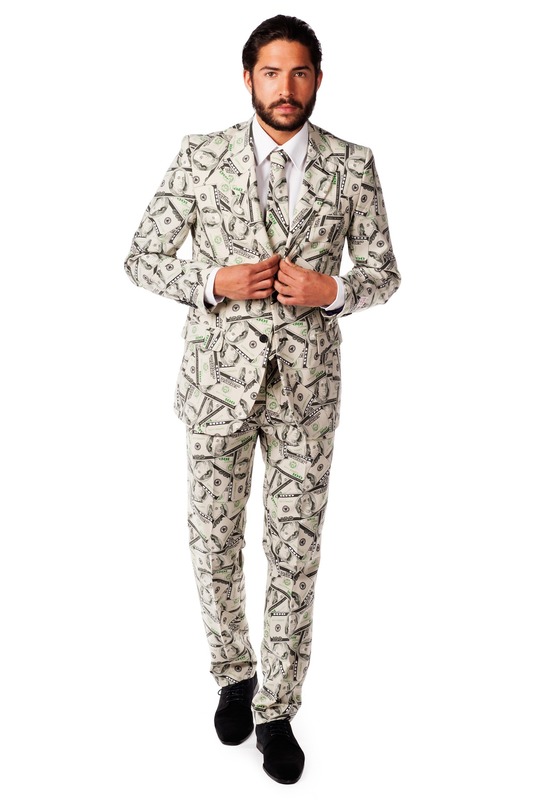 Introducing the Money Suit. That's right. 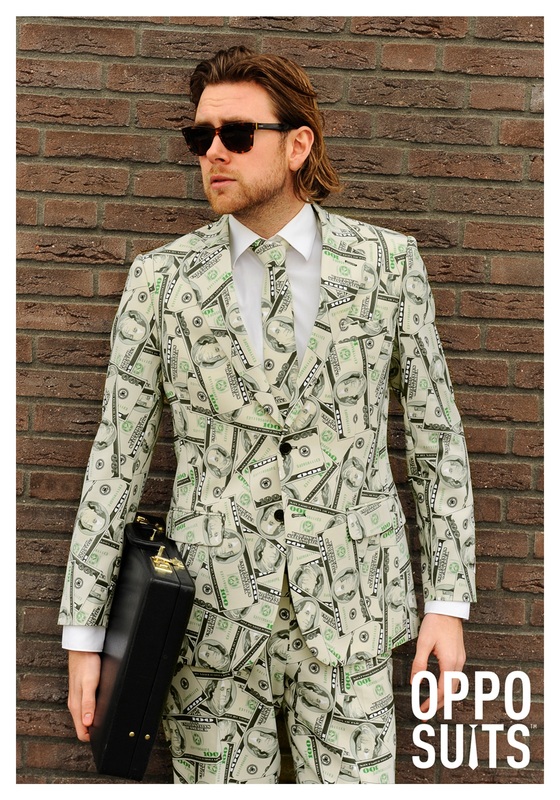 It's a suit, made out of money. 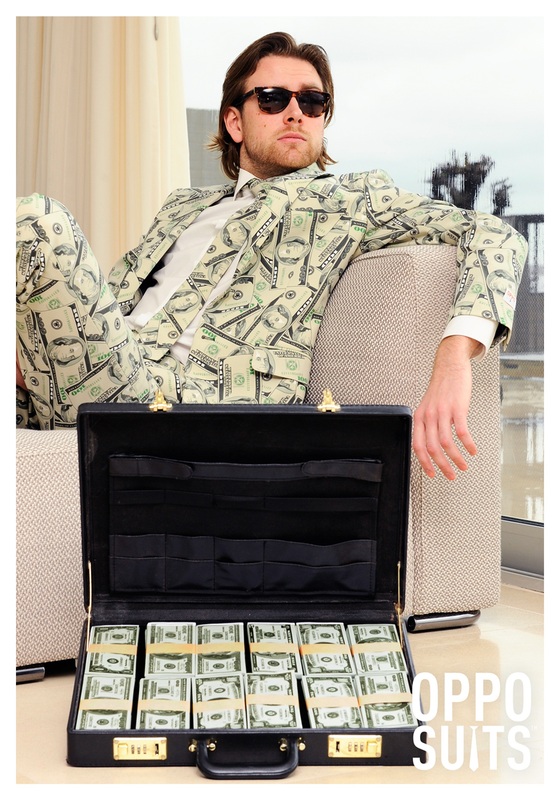 Gone are the days of strangers wondering if you're wealthier than them. Say goodbye to being rejected by the ladies. And the next time you're at a fancy party, you don't need to say a word. You can let the 100% polyester suit do the talking for you. 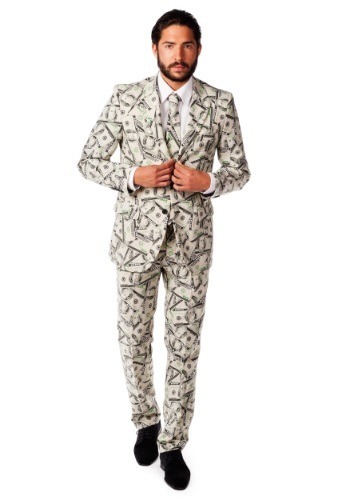 Let's see how that party would have gone if you were wearing one of these money suits. (cut to fancy party) "I do say, that's the fanciest suit I've ever seen. 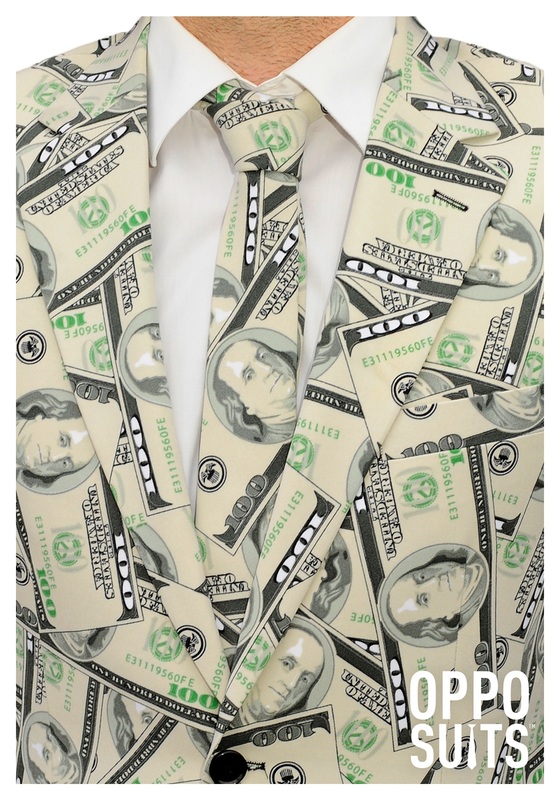 And it's got a matching money necktie! You must have paid a fortune for an outfit like that!" "Actually, Mr. McRichpants, I've got plenty of money left over. And I do mean plenty." (everyone laughs as McRichpants hands you a business contract and a fountain pen) See how easy that was? 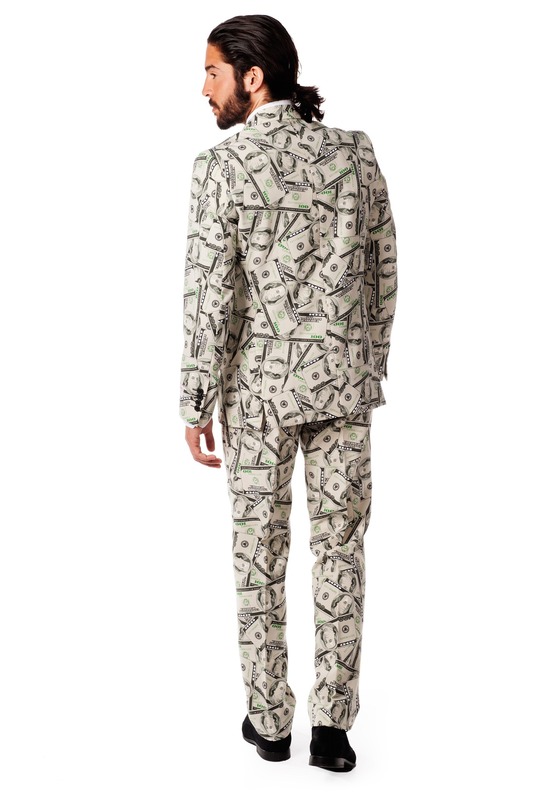 And if you order your money suit right now, we'll throw in another money suit for the exact same price. You can't find a better deal! Internet operators are standing by. Order yours today!